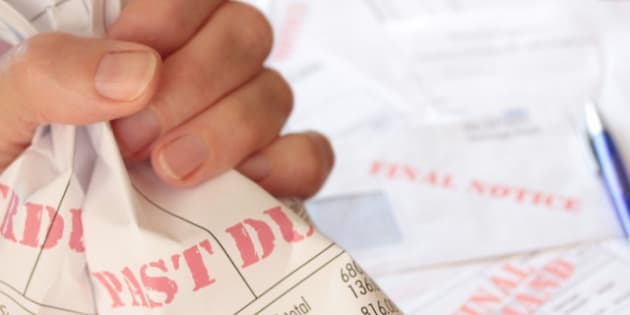 Household debt levels have reached a new high, increasing the vulnerability of average Canadians to unexpected economic shocks just at a time when uncertainty is mounting. Despite signs that Canada’s economic recovery is fizzling, data released by Statistics Canada Tuesday shows that the ratio of credit market debt to personal disposable income climbed to 148.7 per cent in the second quarter, surpassing the previous record of 147.3 per cent set in the first three months of this year. Driven mostly by an uptick in consumer credit and mortgage borrowing amidst bargain basement interest rates, economists say the increase could have significant consequences for the household balance sheet no matter which way the economic winds blow. “Anytime the [debt-to-income] ratio rises -- and I think there’s full recognition that it’s already very high -- that increases the vulnerability to the household from a medium-term perspective to unanticipated surprises, like an interest rate hike or weakness on the job market,” says Derek Burleton, deputy chief economist for TD Bank. But with record-low interest rates expected to persist for some time to come, Burleton says it’s likely that Canadians will continue to spend beyond their means. “When I look ahead, I do think the ratio is going to move higher before it goes lower,” says Burleton. Adding to the concern is the extent to which the arguably overvalued housing market is making consumers feel wealthier than they truly are. According to Statistics Canada, among “non-financial assets,” residential real estate accounted for over half of the 1.2 per cent increase in national net worth during this period. And as Canadians sink ever deeper into debt, their ability to pay their bills is becoming more strained. Per capita household net worth -- the value of households’ assets minus their debt -- fell from $185,500 in the first quarter to $184,300, the first drop since the second quarter of 2010. Statscan attributed that drop to the falling stock market, which has shaved some 5.9 per cent off household equity. But as Macdonald sees it, artificially inflated housing prices are currently masking the severity of the debt problem. The day of reckoning, he says, will come when recovery resumes in earnest.